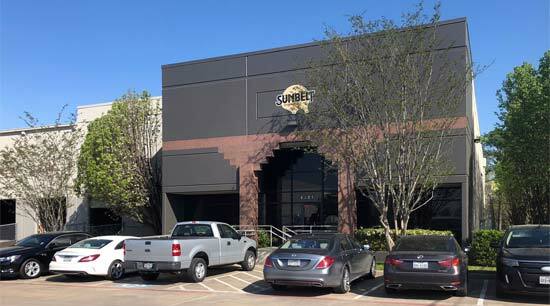 Sunbelt Stud Welding manufactures and distributes a complete line of stud welding products with service that is second to none. Since 1980, we have been dedicated to providing our customers with quality products, the best service and on-time deliveries. 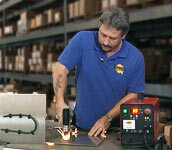 Capacitor Discharge (CD) Stud Welders, Arc Stud Welders, Inverter Stud Welders. Production Welders - from a single-head, hand-loaded stationary bench welder, to the most sophisticated multi-head auto feed fully automated CNC systems. We are always fully stocked with many standard sizes of weld studs, cable hangers (including slotted), parts and accessories. Our Technical Service Department can repair all makes of stud welding equipment. We are here to assist you with all your technical requirements. We carry an extensive line of rental equipment. Please call for more information. Our customers are as diverse as our product line. Naval Shipbuilders, Steel Fabricating, Aerospace, Automotive, Construction, Manufacturing, Insulation, Precast, Refractory and Offshore are a few examples of the industries we serve. We sell to customers all across the United States and around the world. Whether you are new to stud welding, or have been enjoying the benefits of these high quality welded fasteners for many years, we can help you with your specific needs. Our customer service representatives and service technicians have many years of experience. Call 1-800-462-9353 to see what a difference our professional, personalized service can do for you. We guarantee we will exceed your expectations. Sunbelt Stud Welding is a member of the American Welding Society and the Shipbuilders Council of America.